The use of regional climate models (RCMs) to localise results from coarse-resolution global climate models has recently attracted more interest in agricultural impact studies. Theoretically, it has advantages over global climate models in terms of realisation of future climate projections. However, there are few studies that have used dynamical downscaling results to assess climate change impacts on Australian cropping systems. 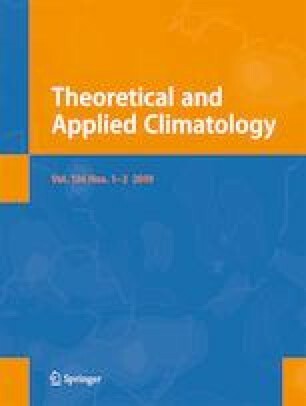 In this study, we used post-processing bias-corrected climate data from the NSW/ACT Regional Climate Modelling (NARCliM) project to drive the Agricultural Production Systems SIMulator (APSIM) for modelling and evaluating the response of three major crops (wheat, canola and lupin) to projected climate conditions under various farm management practices in south-eastern Australia. Our results showed that historical crop yields from APSIM simulations forced by RCM output tended to underestimate yields from simulations forced by observations due to large biases in the NARCliM simulations. Therefore, bias correction was used to correct the APSIM outputs before conducting future impact analysis. The bias-corrected results showed that ensemble-mean yields based on 12 RCMs were projected to increase over the study area under the A2 emission scenario. However, the magnitude of yield increase depended on the time periods, crop type and location. Multiple linear regression models showed that the changes of radiation, rainfall and temperature and elevated CO2 concentration could explain 60–78% of crop yield changes. It is interesting to note that residue incorporation and nitrogen application had a large effect on percentage yield increases for wheat due to future climate change, but had limited effects on the response of lupin and canola yields. Our study suggests that sufficient bias-correction method is needed when using NARCliM outputs in crop models. Although uncertainties (e.g. the choice of emission scenarios and RCMs) still exist in our study, the results are of central importance in the development of high-yield adaptive strategies for local farmers and policy makers in south-eastern Australia. This work was supported by NSW Department of Primary Industries (NSW DPI) and partially funded by NSW Office of Environment and Heritage (OEH) for the project entitled “Assessment of climate change impacts on major crops and identification of farming management option in southern NSW” (NSW DPI: RDE959) as a part of the Climate Change Fund supported research led by OEH. Useful conversations were held with Anthony Coward of NSW OEH.